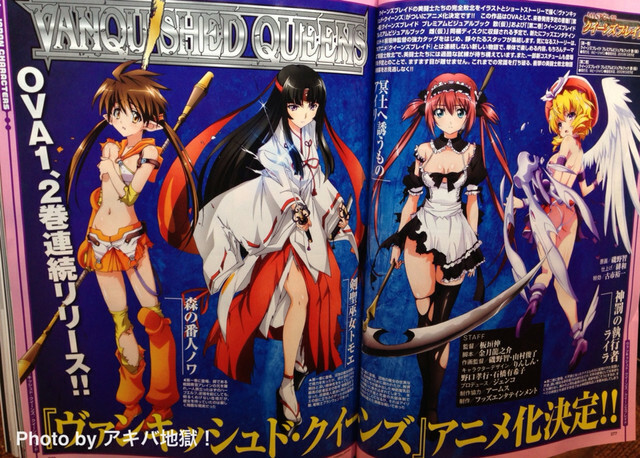 Two part production to be packaged with " Queen's Blade Premium Visual Books"
The latest Queen's Blade work to inspire anime is Queen's Blade: Vanquished Queens, a visual book depicting some of the risque fantasy characters' defeats. 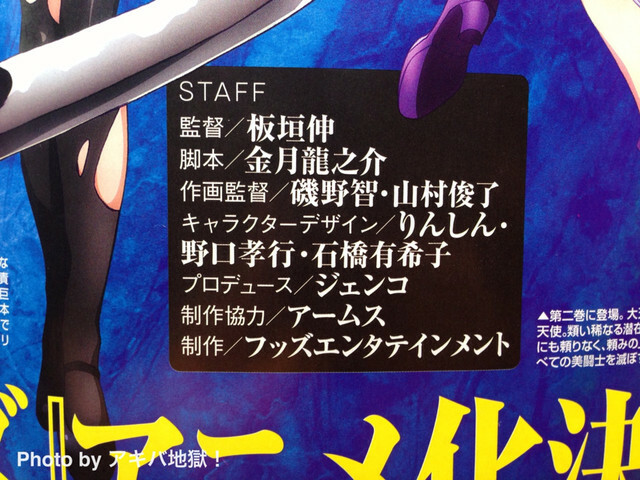 Teekyū's Shin Itagaki will be directing the two part Hoods Entertainment (Seikon no Qwaser II) production, set to be packaged with next year's Queen's Blade Premium Visual Books. Tomoe is defeated by the Kouma Ninja. Irma is defeated by Aldra. Nowa is captured by Dogura. Risty helped Leina recover from her injuries. Menace was tortured at the hands of Anarista. Nanael was defeated by The Swamp Witch. Airi was defeated by an unknown demon hunter. Nyx was defeated by Elina Vance. Melpha and Sigui were captured by the Swamp Giant. Ymir was defeated by Echidna. Alleyne had become Funikura's new host. Aldra was defeated by Irma. Annelotte was jailed and tortured by the Queen's Torturer. Yuit and Vante were also jailed and tortured. Mirim was defeated by Branwen. Sainyang and Tarnyang were defeated by Elina Vance. Sigui was punished by heretics. Eilin and Ymir were defeated by Melona. Liliana was also defeated by Melona.